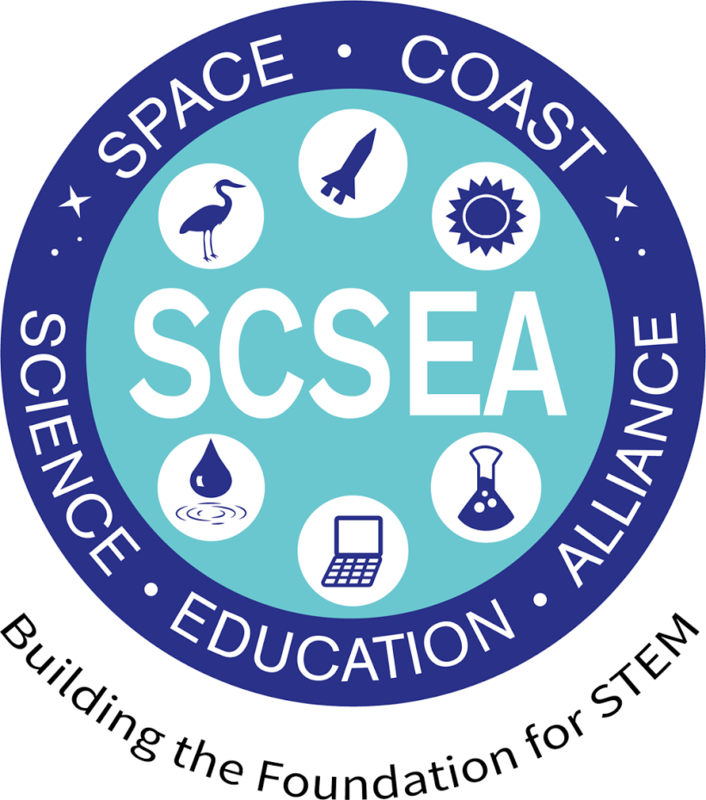 The Space Coast Science Education Alliance (SCSEA) is an affiliation of organizations and individuals devoted to education, science and the environment. The alliance is a 501(c)3 that promotes STEM literacy through joint activities and support of member projects. Members include teachers and educators from all organizations across the county in public and private sectors along with retired teachers and community members. The SCSEA Speaker Series provides students and the general public with information on timely science-related topics by engaged scientists. The Speaker Series presentations take place twice a year in the early evenings, at various hosting sites around the county. The 2019 SCSEA Science Bowl for Middle School Students (grades 6 – 8) is a fast-paced question and answer format competition, similar to Jeopardy, during which students answer questions about earth science, physical science, life science, math, energy, and general science. Our Science Bowl for Middle School Students page lists the competition rules and the steps required to register a team. 2019 Florida Regional Science Bowl will be held on March 2, 2019 at the Florida Solar Energy Center, 1679 Clearlake Rd Cocoa, FL 32922. Registration opens at 12 noon on Monday October 1, 2018. The Exemplary Science Teacher Awards program was started in 1999 by the SCSEA and the Brevard Science Advisory Council to recognize outstanding science teachers in Brevard County. Annually, SCSEA holds a recognition ceremony to honor eight science teachers from Brevard County who demonstrate best practices in the area of science instruction. It is our way of saying thank you for a job well done. As a community, we send a strong message when we identify and reward those great teachers that educate our children. Join us at Research Rules! to find out what it takes to do a successful and award winning Science Fair Project. Meet with scientists in your subject areas, as well as experts in creating a great experiment and backboard to help you put together an awesome project. This day of fun and information is open to Brevard County students in grades 5 – 8… and it’s free! Research Rules! will be held September 21, 2019, at the BPS Educational Services Facility, 2700 Judge Fran Jamieson Way, Viera, FL 32940. Event information: Research Rules includes sessions that students choose according to their interests and needs, as well as time to interact and ask questions of scientists and researchers in various fields. Because space is limited, only students planning on participating in science fair during the current school year should attend. Additionally, if parents choose to attend with their student(s), only one parent per family is recommended. Each year, the SCSEA presents the Aspiring Scientist Award to two elementary students whose science fair projects, although not first place winners, showed unusual creativity and scientific thinking. These students are recognized to inspire their continued interest in science.